In this newsletter, you will find a few “must haves” to get you ready to look and feel your very best for the summer months. From naturally sweet bars that curb craving to chic and ethically made purses and wallets to super skinny breakfast recipes – it is all here! If you have a question you would like answered or a product you would like premiered – we would love to hear from you! Simply contact us at drjoey@drjoey.com! Did you miss the amazing results from the CityLine Shape Up challenge? All 5 women are collectively over 100 pounds down! Click here to view our March show! Looking to get skinny for spring? Don’t forget to take your metabolic id questionnaire in The Metabolism Booting Diet and begin losing inches and burning belly fat today. Mat and Nat – Mat and Nat’s company mantra is “Live beautifully and appreciate humanity, creativity and positivity”. With a clean and elegant look and affordable prices - I have always been a fan! Coconut and Almond Kind Bar – If you want to curb a sweet tooth, this is the way to do it. Loaded with a blend of almonds and coconuts, 4grams of protein and 4 grams of fiber – the KIND bar can help to curb your appetite between meals in a healthy and delicious way! Spirulina is a tiny aquatic plant that has been eaten by humans since pre-historic times. Gram for gram, this edible algae has more protein than soy, more vitamin A than carrots and more iron than beef. To boost your energy, get a daily dose of protective phytochemicals – add 1-3 tablespoons of spirulina to your morning smoothie or to water. For 10 years, this book has sat by my bedside. Every night I read a daily passage of Alan Cohen’s writings. Each day, his words seem to fit with the “lesson” or the “pick me up” I seem to need. Coincidence? Some may say yes – but... I find this book a true daily blessing. Shulman Corporate Wellness is now here! 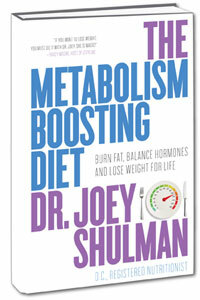 I am so excited to announce that Shulman Corporate Wellness is finally here! After a decade of speaking for large corporations on health and wellness in the workplace – the positive results were evident. It has been my passion and pleasure to design tailor made programs for companies across Canada and to bring health and wellness to the workplace. Our personalized programs are designed to work with corporations to develop comprehensive workplace wellness packages to boost moral, employee retention and overall profitability. 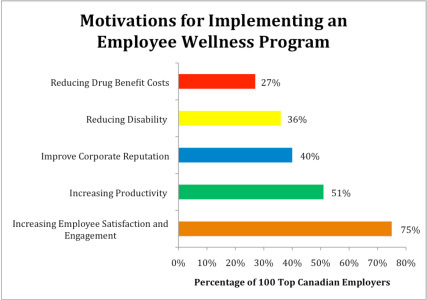 Top 10 benefits of optimal wellness in the workplace? Empower employees to take charge of all areas of their life! The Metabolism Boosting salad was such a huge hit –my friends at Freshii and I have decided to launch a few more exciting menu items! 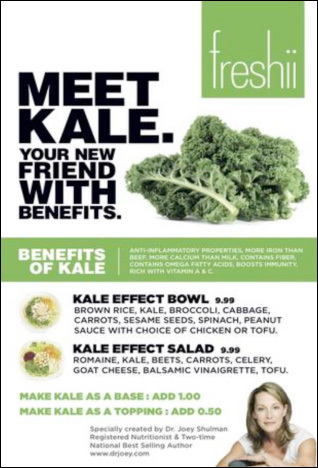 As of April 9th, you can benefit from the effects of eating kale by enjoying the kale effect salad or the kale effect bowl! For details on this super yummy limited time offer, click here. Shulman Weight Loss Clinic wants to congratulate all of our long distance clients who have hit their goal weights! It does not matter where you live – you can balance hormones and boost your metabolism! It is our passion and pleasure to help you lose the weight and live your life to the fullest. Heat olive oil in a large skillet over medium heat. Sauté onion for 8 to 10 minutes, until soft and translucent. Add garlic, broccoli and mushrooms to skillet and sauté for 8 to 10 minutes, until broccoli softens slightly (it does not need to be fully cooked, as it will continue to cook in the oven). In a large bowl, combine eggs, cheese and salt to taste. Stir in the sautéed vegetables, then pour mixture into an oiled pie plate. Bake for 30 to 35 mintues, until browned around the edges and cooked through. Let cool for 15 minutes before serving. Enjoy with a side salad. Frozen bananas are the perfect addition to a morning smoothie as they are naturally sweet and offer a thick, creamy consistency when blended. Peel your bananas and keep them frozen in halves in your freezer for convenience sakes. Blend all ingredients together until smooth. Pour into a glass and enjoy. Pancakes can be made in a way that offer a protein punch and fibre. If you want to switch this recipe up from time to time, feel free to top with your fruit of choice (i.e. blueberries or sliced strawberries). You can also occasionally drizzle a small amount of agave syrup over top. Cook oatmeal with water as directed on package. Add egg whites to cooked oatmeal and stir with a fork. Heat omelet-size non-stick pan over medium-high heat. Pour in mixture and cook until top is golden brown with bubbles, then carefully flip pancake over. When bottom is browned, remove pancake from pan and sprinkle lightly with brown sugar or cinnamon.